A product specifically developed for LIVE Ultra Brights Purple Punk colouration. Colour result may vary when used with other colourations. Create soft pastel purple hues on a light hair base. 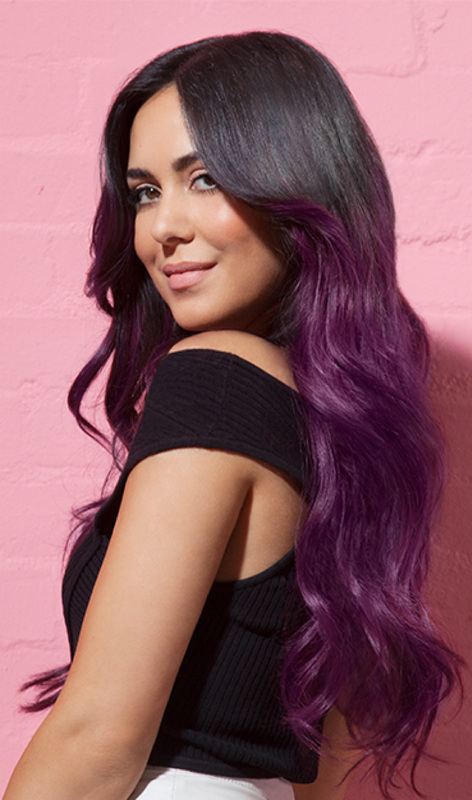 Product specifically developed for LIVE Ultra Brights Purple Punk colouration. Colour result may vary when used with other colourations. Hair colorants can cause severe allergic reactions. of 16. Temporary ‘black henna’ tattoos may increase your risk of allergy. – you have experienced a reaction to a temporary ‘black henna’ tattoo in the past. waterproof plastic gloves. Keep out of reach of children. Avoid unnecessary skin contact. 2. After the product application, rinse skin and surfaces where traces of product are visible. 3. Depending on desired intensity, leave product in from 3 to 5 minutes. 4. Rinse hair, skin and bathroom surfaces from traces of product thoroughly, until water runs clear. Recommended to wear waterproof plastic gloves when applying the product. Packagaing may be recycled after use. Basic Violet 2 · Citronellol.